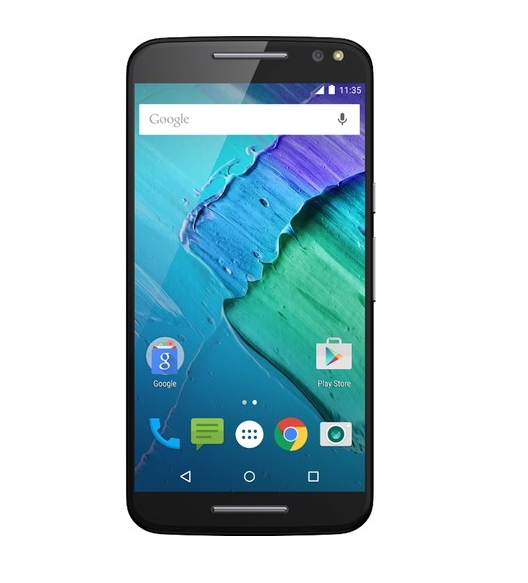 NEW YORK, NY--(Marketwired - March 02, 2016) - B&H is pleased to share Today's deal of the day; the Motorola Moto X Pure Edition 64GB Smartphone for $399. This smartphone is powered by a 1.8 GHz hexa-core Qualcomm Snapdragon 808 processor and 3GB of LPDDR3 RAM. It comes equipped with 64GB of storage and includes a microSD slot that supports microSDXC cards with up to 128GB of memory for additional storage capacity. The integrated micro-USB interface allows you to connect the device for mass-storage purposes and also serves as a charging port. The Moto X Pure is also well-equipped for wireless communication. It features Bluetooth 4.1 + LE (Smart Ready) technology for pairing with other Bluetooth-enabled devices, and 802.11a/b/g/n/ac Wi-Fi for high-speed Internet connectivity. GPS with GLONASS is also on-board for using compatible location services and applications. The Moto X Pure Edition's 3000 mAh battery is designed to provide "All Day" mixed usage on a full charge, and it can provide up to 10 hours of power from 15 minutes of charging. Experience dynamic handheld performance and powerful dual-camera functionality with the black Moto X Pure Edition from Motorola. This smartphone is powered by a 1.8 GHz hexa-core Qualcomm Snapdragon 808 processor and 3GB of LPDDR3 RAM. It comes equipped with 64GB of storage and includes a microSD slot that supports microSDXC cards with up to 128GB of memory for additional storage capacity. The integrated micro-USB interface allows you to connect the device for mass-storage purposes and also serves as a charging port.